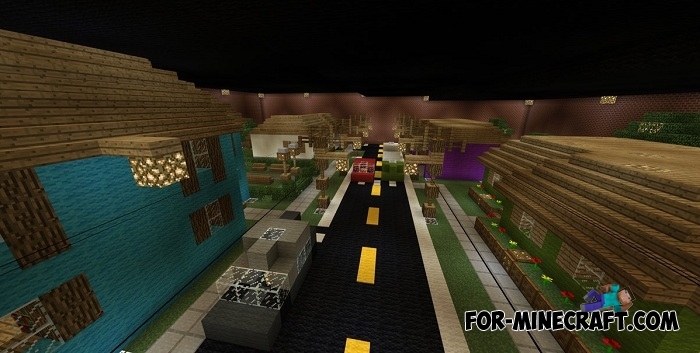 Minecraft Bedrock offers you several ways of further gameplay: you can build absolutely amazing structures, travel and go around the world or just fight. As you know, vanilla mobs are fairly easy opponents so many players spend their time on servers in PvP modes. Lethal Battle is a convenient way to fight other players with swords or bows, as well as with the ability to team play. 6 different colors with the ability to play simultaneously with six teams. Ready-made kits with colored armor and weapons. Preparing the game is done with the help of mechanisms. Compatibility with any version of MCPE to 1.2.10. Pixel Playground map (Minecraft PE 1.2+)To date, Pixel Playground is confidently striding up and will soon take one of the leading places in the pixel art..